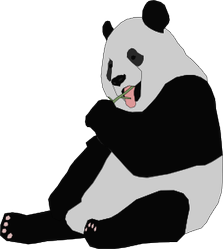 What a roller coaster ride we had before the great Google Panda came foraging through our web sites. Run for the hills. It's not a Panda. It's a big ol fat SKUNK! What a roller coaster ride we had before the great Google Panda came foraging through our web sites. We were getting comments and tons of traffic, even though our total earnings hovered at one nickel and holding. There were accolades to win and followers to be led. There were top earning success stories with their blue-filled linked-out articles, slaves to E-Bay, Amazon, and Google. There were the hours on forums, all of us contemplating what the HubDogs were doing or formulating or planning, while we tried to anticipate HubPages’ bidding, never really knowing what it was. Those were some good times but we can’t go back even though there are experts that say we should leave our Hubs alone, let them age, and just link to them. But I know better. My page impressions are down to 2 or 3 a week since I started weaning Hubs away. I know that HubPages is watching me. I think the car that just drove through my neighborhood was filled with HubPage lackeys with cameras and recording equipment. Oh No. The HubPage car turned around and is parked in front of my house. There are several suited scoundrels sauntering up the sidewalk and they are carrying what appears to be a very large eraser. leads me to an ebon depression. A knight astride with a flaccid lance. My hero dismounts and starts to prance. Who is he really here to save? Me or his gorgeous buffed-up knave. To make this dry spell come to an end. Then my hubbing career would be for naught. 11 pm, my one day count is zero. There will be no aid coming from any hero. New tags have been added; I even changed a title. I have added photos and suggested links so vital. Perhaps returning early from hitting all the pubs. Look there is a comment, I wonder who it’s from? Ah, the zero days. Sometimes it seems there are too many of them. I hope things are looking up! The poem was great. Hope you get more impressions than "nary" real time soon.